September 14, 2007: In one of the most dramatic days in Wall Street history, Lehman Brothers files for bankruptcy and Merrill Lynch sells itself to Bank of America. A global financial crisis ensues caused largely by U.S. banks and financial institutions like AIG. The U.S. Congress and the Federal Reserve organized a bank bailout of some $4.7 trillion. While Wall Street is bailed out, on Main Street, some 8 million people lose their jobs, some 9 million homes were thrown into foreclosure and $8 trillion in wealth disappeared out of the U.S. economy. A Wall Street financial reform bill passed by Congress 2010 does little to address recklessness and greed on Wall Street and further scandal ensues. Mass unemployment leads to drops in revenue for state budgets and austerity politics hit state and local budgets hard. December 2010: The "Arab Spring" refers to the democratic uprisings that arose independently and spread across the Arab world in 2011. The movement originated in Tunisia in December 2010 and quickly took hold in Egypt, Libya, Syria, Yemen, Bahrain, Saudi Arabia, and Jordan. The physical occupation of Tahir Square in Egypt in January 2011, helped bring an end to the Mubarak dictatorship in February 2011. February/March 2011: Hundreds of thousands in Wisconsin protested Governor Scott Walker’s attack on collective bargaining rights of workers and steep budget cuts in health care and education. The Wisconsin Capitol is occupied for 17 days and nights. October 1, 2011: 700 are arrested after 5,000 protestors flood the Brooklyn Bridge, shutting down a lane of traffic for several hours. Occupy Movements begin in Los Angeles, Boston, and St. Louis. October 15, 2011: 175 protesters of Occupy Chicago were arrested in Grant Park. The City of Chicago used CTA buses to transport demonstrators and process them into city jails. The arrested demonstrators would all be charged with misdemeanors. 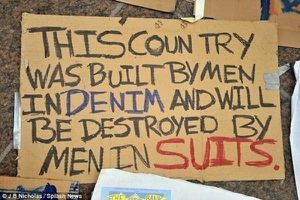 The Occupy movement focuses primarily on social and economic inequality between the 99% and the top 1% of the US population. While a number of organizers have discussed demands, a member of the New York City General Assembly said OWS will not issue demands because, "demands are for terrorists and that is not who we are." The Goals Working Group may produce an alternative document. Ralp Gomory from the Huffington Post said the Occupy Movement does not have a plan but it does have a goal. "[Protesters] want to change the system so that its wealth and power are not so concentrated in the hands of a few," said Gomory. Gomory says this goal is best expressed by the phrase "Democracy not Plutocracy." On October 12, Occupy Chicago Protestors laid down concrete plans on how to rebuild the economy and create jobs. The Chicago Political Economy Group (CPEG) released a plan to create 40,000 jobs in the Chicago area. The jobs plan is funded by a tiny $.25 speculation fee, to be paid by every buyer and seller of derivatives contracts on the Chicago Mercantile Exchange and the Chicago Board Options Exchange. The group estimates that the tiny tax will generate nearly $1.4 billion per year in direct funding for jobs. 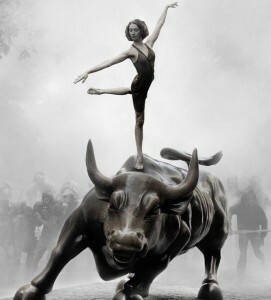 The Occupy Wall Street Movement has been criticized by the media for a lack of focus and agenda. Media outlets Fox News and the Ludwig von Mises Institute jumped on a "proposal" forum post on occupywallst.org. Fox News writes, "Real Demands of Occupy Wall Street...and Try Not to Laugh." The list of demands includes a guaranteed living wage income and a racial and gender equal rights amendment. The post was submitted by a single user and was misreported as an official list of demands. According to the admin-edited forum post, "[the] content was not published by the OccupyWallSt.org collective, nor was it ever proposed or agreed to on a consensus basis with the NYC General Assembly. There is NO official list of demands,"  Participatory online discussion forums have been emerging for citizens to submit and vote for specific agenda items. On October 8, an editorial in the New York Times said it is not the job of the protesters to draft legislation; that’s the job of the nation’s leaders, and if they had been doing it all along there might not be a need for these marches and rallies. Because they have not, the public airing of grievances is a legitimate and important end in itself, the Times said . Media theorist Douglas Rushkoff criticized the mainstream media for dismissing the protesters. "Anyone who says he has no idea what these folks are protesting is not being truthful. Whether we agree with them or not, we all know what they are upset about, and we all know that there are investment bankers working on Wall Street getting richer while things for most of the rest of us are getting tougher,"  Rushkoff says that Occupy Wall Street is the first true Internet-era movement, and as such, it does not have a charismatic leader or particular endpoint. Unlike a traditional protest which identifies the enemy and fights for a particular solution, Rushkoff concludes that the protest is less about victory than sustainability, inclusion and consensus. Cornel West said "It’s impossible to translate the issue of the greed of Wall Street into one demand or two demands...you’re talking about raising political consciousness so it spills over all parts of the country, so people can begin to see what’s going on through a different set of lens. And then you begin to highlight what the more detailed demands would be, because in the end we’re really talking about what Martin King would call a revolution: a transfer of power from oligarchs to everyday people of all colors. And that is a step-by-step process," . 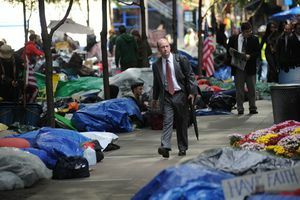 "We are the 99%" has become the slogan for the "Occupy" protests across the United States. We are the 99% refers to the extreme difference in wealth among the top 1% as compared to the rest of the US population. Americans have the highest income inequality in the rich world, and have experienced the greatest increase in income inequality among rich nations over the past 20 - 30 years. A 2011 Congressional Budget Office study  found that income in the top 1% increased 275% in the period between 1979 and 2007, while it only increased 18-40% for the rest of the population.